The latest from London-based editor and resident zoologist, Justine Aw as we explore the London Design Festival 2012. 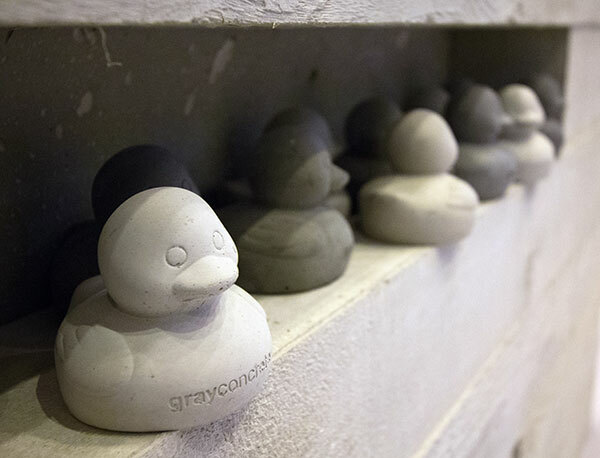 Another whimsical find from 100% Design this year were these adorably little, concrete versions of rubber duckies from Gray Concrete. 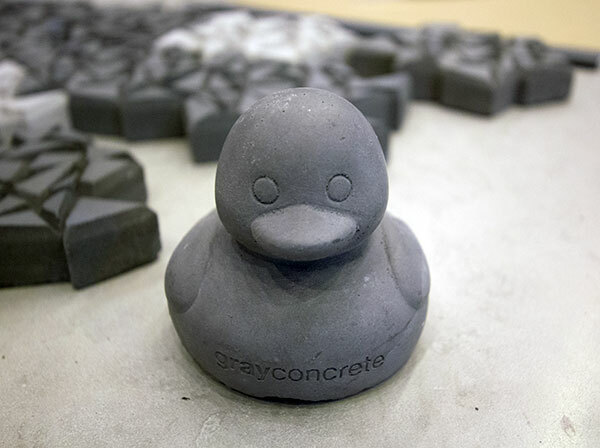 Where some brands might still have stress ball creature swag at their booth, Gray had these little ducklings decorating their stand in a wide range of colors- really bringing concrete to life. 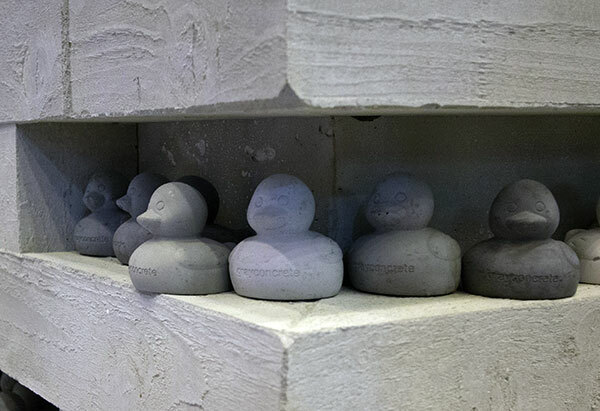 It has been interesting to see the trend in concrete coming to a smaller scale and more playful functions… from lots of DIY cement planter molds to jewelry and more. 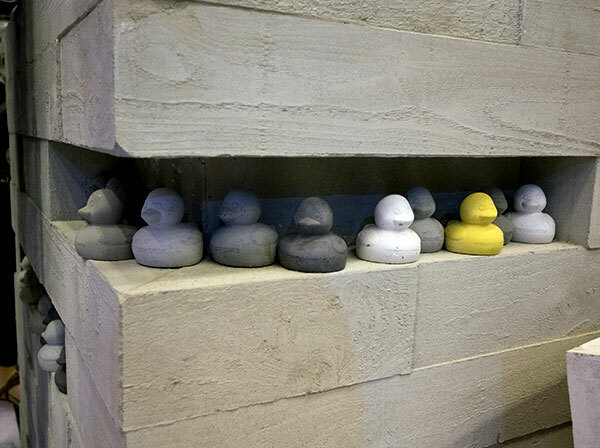 Check out more photos of the concrete duckies on the next page!